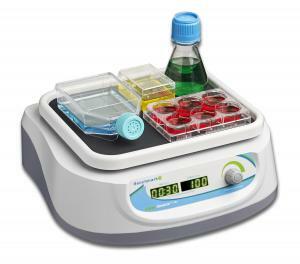 Labnet's Pro 30 shaker features a left to right linear action to provide gentle to vigorous shaking. Four platform configurations make this model valuable for a variety of applications. Modern styling gives the Pro 30 a small footprint and easy-access control panel. Speed and time are electronically controlled while their values are set with easy turn knobs. 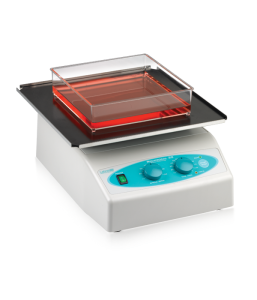 The four platforms configurations include a large 30 x 30 cm flat platform with non-slip rubber mat to hold sample containers in place. For added capacity, a stacked double platform is also available. The spring loaded universal platform holds tube racks, bottles and odd shaped containers. 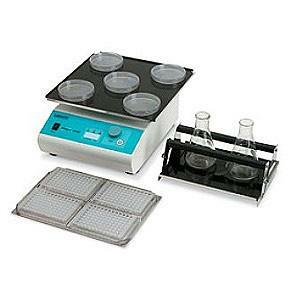 Flasks up to 1L can be shaken of the flask clamp platform. Pre-drilled to hold a variety of different sized clamps, the platform and clamps are sold separately. Platforms are easily interchanged. The Pro 30 is safe for use in temperature controlled environments. 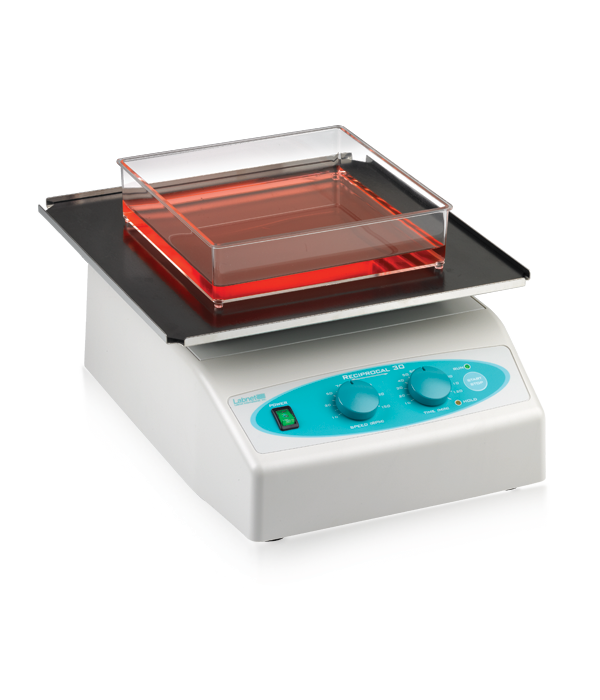 Compact in size, it will fit in both the Labnet 311 and 611 Series Incubators.